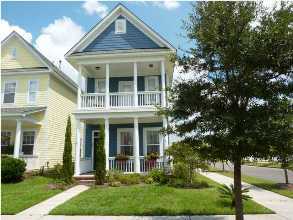 Summerville is one of the most affordable areas in Charleston for buying real estate. In fact, the majority of houses for sale are priced under $250K. In ranges higher than this, you'll find homes with lots of upgrades, plenty of square footage, and often 4 or 5 bedrooms. Located 40 minutes from downtown Charleston, Summerville is ideal for people who want to live near Charleston but don't want the high home prices that come with living in the metro area. 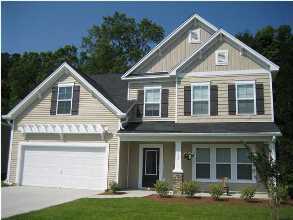 Are you looking for specific features in a Summerville home? Try out our fully customizable search feature that lets you search for homes that fit your needs perfectly. Search Summerville SC home listings by property type, home size, number of bedrooms, price range, and many other features. Home buyers also tend to like the small town feel of the area. Since Summerville is located further inland, it's managed to preserve its identity well amidst the changing landscape surrounding the Charleston Peninsula. While some of the nearby suburbs like Goose Creek and North Charleston have morphed into commercial and industrial branches of the city, Summerville has focused more on residential preservation and growth. 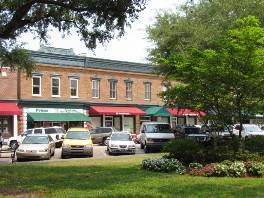 Summerville's historic downtown is charming and looks much the same as it did fifty years ago. You'll find antique stores and locally owned shops and restaurants. Over the past 10 years, Summerville has seen incredible residential growth surrounding this older section. Numerous new construction neighborhoods have been developed to accommodate the growing demand from home buyers who want to take advantage of the low home prices and the good public schools in Summerville. Wescott Plantation is consistently a favorite among Summerville home buyers because it offers some of the most affordable homes for sale. Condos and townhouses start around $100K, and single family houses start around $140K. Most of the homes in Wescott have been built in the past 10 years, so if you're looking for a newer construction home, this will be a good neighborhood to start your home search. Since it's the largest community in Summerville, there's always a good selection of homes for sale in price ranges of $100-350K. 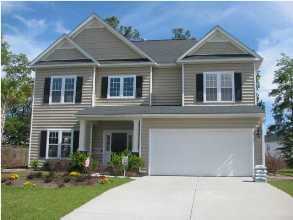 In addition to its affordability, Wescott Plantation is also popular because it has full scale amenities. You'll find a 27-hole golf course, a swimming pool, a club house that can be rented out for special events, and a children's play park. Wescott is one of only 3 golf communities in Summerville, and it's one of the only neighborhoods in Charleston where you can buy a house overlooking the golf course for around $200K. White Gables is made up of only single family houses, and these designs have great Charleston style - from the classic shotgun single to Victorian to traditional to bungalow. Also, most of these houses have cement plank exteriors rather than the vinyl siding you typically find in new construction homes of this price range. White Gables is enormously popular because of its Charleston style and the overall feel of the community, but know that these lot sizes tend to run smaller than average (usually .10 to .15 acre). These smaller yards are ideal for home buyers wanting less yard maintenance and more money spent on upgrades in the house itself. The amenities in White Gables include a swimming pool, tennis courts, club house, boat/RV storage, and children's playground. White Gables is one of the closest new construction neighborhoods you'll find to downtown Summerville since it's located off Central Avenue. Legend Oaks Plantation is located off Hwy 61, on the land of a former rice plantation. 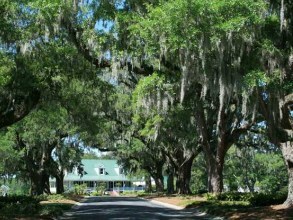 Hundred year old live oaks line the road leading up to the club house, which is a popular place for weddings due to its Low Country appeal. Legend Oaks is one of the nicest neighborhoods in Summerville, and its 18-hole golf course was named a 2010 South Carolina Golf Course of the Year. In addition to its golf and club house, Legend Oaks also has a swimming pool and tennis courts. Legend Oaks has mostly single family houses, although you'll find some condos in The Highlands subsection. Some of the most sought after subsections for houses include Whispering Fields, Palmetto Forest, The Province, and The Club because they have some of the newest homes. Because Legend Oaks has been developed over the course of about 15 years, you'll find a wider range in home styles here. So, if you're looking for a newer home in a more established neighborhood with a good mix of homes, Legend Oaks may be a good neighborhood to consider. 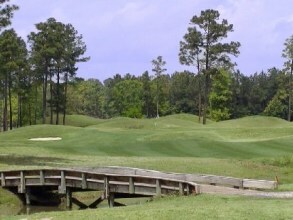 Pine Forest Country Club is the smallest of Summerville's golf communities. The land used for this subdivision belonged to the Hunt Club at Pine Forest Inn. The inn had a golf course dating back to 1891 and was among the first seven courses developed in the U.S. Today, golfers at Pine Forest Country Club play on a course that's a new design (in other words, this is not the same course). 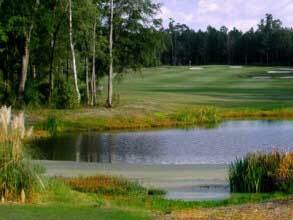 However, this historic association - combined with the higher end homes for sale in this neighborhood - make Pine Forest Country Club a very desirable community in terms of real estate. Golf Digest has ranked the course with four stars and nicknamed it The Hidden Gem of Charleston. 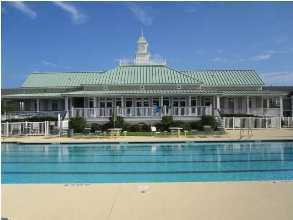 Other amenities at Pine Forest Country Club include a Junior Olympic sized swimming pool, tennis, and a club house. Real estate prices start just under $200K and go up to about $900K. Most of these houses were built from the 1990s to 2005, but you'll also find some new construction homes for sale, too. 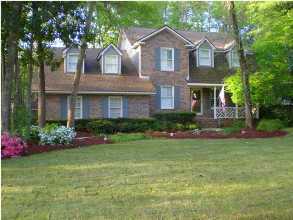 Ashborough is highly popular among buyers wanting older, brick homes in an established community. Most of these houses were built in the 1980s, and you'll find a good selection of traditional home designs. Although some of these need cosmetic updating, homes in Ashborough offer a charm and quality of construction that is hard to find with new construction homes today. Lot sizes in Ashborough are usually about half an acre, which is as large as you'll find in residential neighborhoods of Summerville (for more acreage, you may want to consider the rural outskirts of Summerville). The mature trees and landscaping are also a big selling point for these older communities. 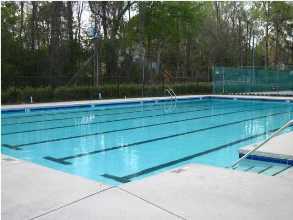 Ashborough amenities include a swimming pool, tennis courts, club house, kids' playground, and boat/RV storage. The Historic District of Summerville fetches some of the highest real estate prices because it's one of the only true historic neighborhoods in the area. Although this downtown residential section is quite large, the selection of homes for sale at any given time is small. Many of these homes are passed down through families from one generation to the next, and you'll find that a lot of original owners still live in these houses. Due to the range of prices and the limited availability, if you're looking for a historic home in Summerville, know that it may take time to find the home that meets your needs and is also within your price range. 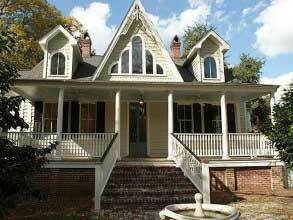 Homes in the Historic District range from about $300K to just over $1 million. Most of these were built between 1900 and 1950, but you'll find an occasional home come onto the market that dates back to the early 1800s. And, as with any of the historic neighborhoods in Charleston, you'll also sometimes see a newer construction home in this district or a home that's been so heavily renovated that it can be termed as new in the MLS. Summerville is also appealing to home buyers because the Dorchester School District (specifically District 2) has some of the best public schools in Charleston. 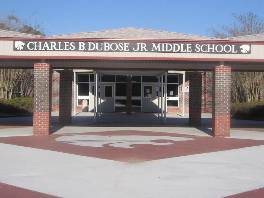 The elementary schools in Dorchester District 2 include Beech Hill, Eagle Nest, Flowertown, Fort Dorchester, Joseph Pye, Knightsville, Newington, Oakbrook, Spann, Summerville, William Reeves, and Windsor Hill Arts Infused Elementary. You'll find 6 middle schools within Dorchester School District 2: Alston, Dubose, Gregg, Oakbrook, River Oaks, and Rollings Middle School of the Arts. 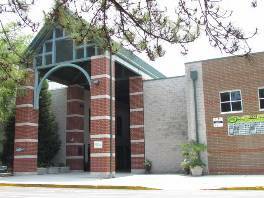 You can read more about Summerville schools at the Dorchester County School District 2 website and also the South Carolina Department of Education. Another good resource is GreatSchools.com. The 3 high schools in the district are Summerville, Ashley Ridge, and Fort Dorchester. Summerville High School's mascot is the notorious Green Wave. The school has one of the best football teams in the area, winning 12 state championships total. Its varsity cheerleaders have won state championships 2 years in a row, and its marching band has won 5 state championships. For 8 years in a row, the band's Competitive Performance Ensemble has ranked among the top 4 for the 5-A division for the SCBDA STATE Marching Championships. Summerville High School also offers a wide range of clubs, including equestrian, robotics, chess, the debate team, German, and even anime. 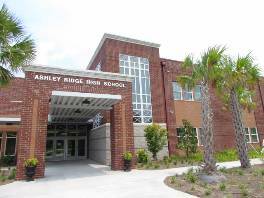 Ashley Ridge High School was opened in 2008, making it the newest high school in the district. Ashley Ridge doesn't boast the long list of state championships that Summerville High can simply because its programs are so new and are still being developed. However, its baseball team won the 2012 state champnionships and its marching band made it to the state finals in 2009. Ashley Ridge offers a great selection of clubs, including amateur radio, math, robotics, running, the Green Team, and ultimate Frisbee, just to name a few. Since its founding in the late 1700s as a sleepy getaway for landowners, Summerville has had its fortunes linked with that of Charleston. In recent years, however, there has been a shift away from this idea as growth and development have made Summerville a vibrant community in its own right. Less than thirty miles away from downtown Charleston, Summerville is directly connected to Charleston by Interstate 26. The horses, carriages, and steam railroad engines that once carried weary plantation owners to this "Flowertown in the Pines" have been replaced today with the invisibles lines of commerce. Homeowners have taken advantage of Summerville's lower housing prices to move in and commute to nearby Charleston areas for work. During the first weekend in April, the town comes alive with the famous Flowertown Festival at Azalea Park, in the heart of downtown Summerville. There, residents and tourists alike can find arts, crafts, food tasting, and many other events. Don't miss this three-day festival, voted one of the Top 20 Events in the Southeast by the Southeast Tourism Society. Azalea Park hosts other festivals and events as well, and its 12 acres of gardens, walkways, and ponds are popular year round. Downtown Summerville is sure to have something to please everyone, from its park to its bustling Main Street which offers a community theater, restaurants, and one-of-a-kind antique vendors nestled on quiet back lanes. In addition to its quaint downtown section, Summerville has newer shopping centers located near Interstate 26. The Azalea Square shopping center has big chains like Target, Kohl's, PetSmart, Best Buy, Ross, TJ Maxx, and World Market. 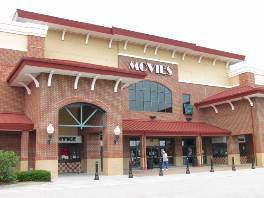 There's also a Regal Cinemas (pictured). In this commercialized area, you'll find a Walmart and Lowe's, and restaurants range from Cracker Barrell to Zaxby's and Moes. 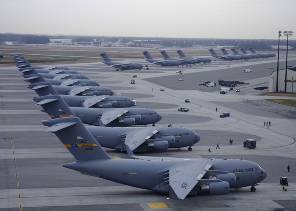 Although the Charleston Air Force Base is located in North Charleston, many of the men and women relocating for duty choose Summerville because of the good public schools (which help with resale) and the close proximity to the base. You'll find a great selection of neighborhoods in Summerville within a 10 to 15 minute drive of the Charleston Air Force Base. If you know that you'll be stationed in Charleston, let us know so that we can help you find homes for sale that are within your budget and also within a short commute to the base! 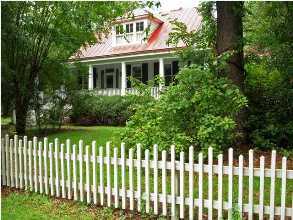 The many plantations, historic homes, parks, and gardens within easy driving distance will certainly engage any history buffs and outdoor enthusiasts thinking of making Summerville home. The Francis Beidler Forest (pictured) is one of the largest preserved forests in South Carolina. Located in the nearby town of Harleyville, this National Audobon center has more than 16,000 acres of old growth swamp forest, including Bald cypress trees that are about a thousand years old. More outdoor activities can be found at Wannamaker County Park in North Charleston and the Caw Caw Nature and History Interpretive Center in Ravenel. Located in nearby West Ashley, Drayton Hall (one of the oldest preserved plantation houses) and Magnolia Plantation (a seventeenth century estate) offer guided tours with an intimate look at life in the Revolutionary and antebellum South. Real estate in Summerville is priced low in comparison with other areas around Charleston because the land is more readily available and less expensive. Summerville is a great area to look for new construction and pre-construction homes because all of the major builders are working on new communities. Because there are still large parcels of undeveloped land available to builders, home buyers simply get more for their money when looking at homes for sale in Summerville compared to the rest of Charleston. 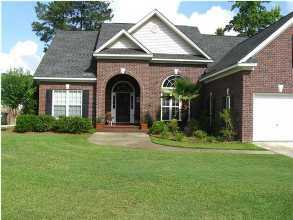 In fact, buyers will spend around 30% less for a home in Summerville than they would for the same home in Mt. Pleasant, James Island, Johns Island, or West Ashley.